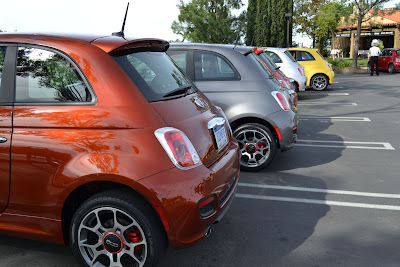 Is there anyway you can post the feedback they had of the journalists that tried the Fiat 500 during the Media Event in San Diego? I am really curious what they thought about the car. Thanks. You do have to keep in mind and expect the journalists to keep their guard up so as to not give their story away. Having said that, everyone I talked with was positive. The overall vibe was positive and happy, I think the operative word was "fun". Thanks Chris, that's good news. By the way can you name a few newspaper company's that came over to San Diego's media event? Maybe they posted some articles on the web as well.